Supposedly manages accounts of wealthy individuals -- but only those with net worth in excess of $1B. He is documented to have turned down an account of $500M, calling it "too small" -- an absurdity in the realm. 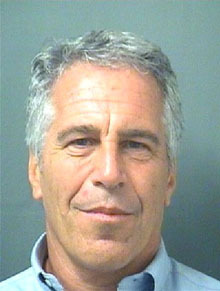 Epstein's only publicly known client is Leslie H. Wexner. When not managing wealth he funds research for a number of high-profile scientists and is often in the company of young women.